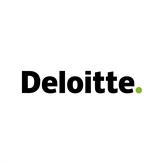 Deloitte is hiring a CSSO / Federal Security Specialist in Annapolis Junction, MD. TS/SCI with polygraph security clearance is required. This is an exceptional opportunity to join Deloitte, grow your career, and work in a great location at Deloitte's National Business Park office in Annapolis Junction, MD. The candidate will support Deloitte's compliance with the National Industrial Security Program Operating Manual (NISPOM), Intelligence Community Directives (ICD’s) and other government and firm security policies and procedures. The qualified candidate is an experienced security professional within the GPS Security office. The primary responsibilities are to perform standard and specialized personnel security (PerSec) processing and Sensitive Compartmented Information Facility (SCIF) operational duties in support of NISP-related classified, Intelligence Community, and Controlled Unclassified Information/agency sensitive (CUI-Public Trust) programs. The individual will perform timely and accurate operational and compliance support, facilitate processing of Personnel Security clearance actions as required throughout the personnel security life-cycle including Special/SCI access processing, NISP personnel clearance and Public Trust suitability processing. The position offers an opportunity to apply industrial security and Public Trust suitability personnel processing procedures within a team environment and continue to build a career in the Federal Security profession with exposure to all security disciplines. The position will require application of regulatory knowledge and experience governed by the National Industrial Security Program Operating Manual (NISPOM), Director of Central Intelligence Directives/Intelligence Community Directives (DCID/ICD), and agency-specific Public Trust suitability regulations and programs. * Act as the quality control specialist for personnel security paperwork, ensuring all packages are accurately completed and ensuring any required/associated documentation is included. When workload demands, also initiate, prepare and submit required personnel security applications (initial and periodic reinvestigations) for access to National Security Information/Intel/Special Access Programs. * Manage workload and cases. Develop relationships and conduct ongoing follow-up/communication with engagement teams and government points of contact. TOP SECRET government security clearance with Sensitive Compartmented Information (SCI) access and Polygraph.